In 2014, Volkswagen remained the top-selling car brand in Switzerland while BMW overtook Audi. The Swiss car market declined to just over 300,000 vehicles. Nearly 40% of new passenger vehicle registrations in Switzerland in 2014 were for four-wheel drive cars while alternative fuel cars increased market share to 3.3%. The Volkswagen Golf easily remained the most popular car in Switzerland. New passenger vehicle registrations in Switzerland in 2014 contracted by 1.9% to 301,942 cars. 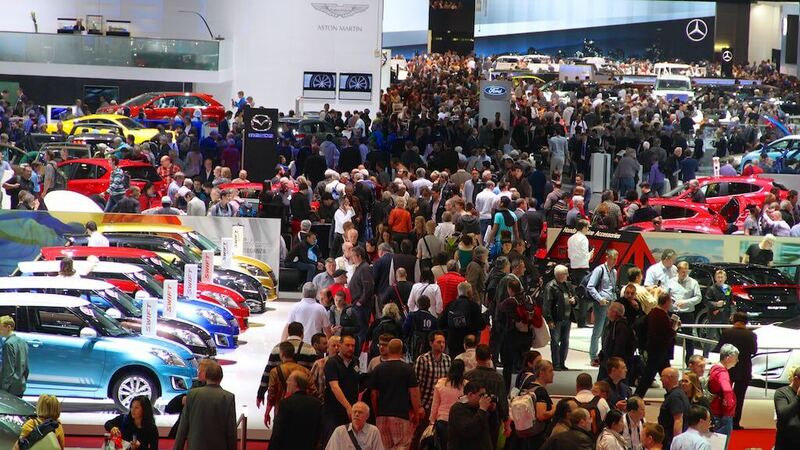 However, for the fourth year in a row, the Swiss new car market exceeded 300,000 vehicles. The contraction in 2014 was much smaller than in 2013 (-6.2%) that followed on the record 2012 when car sales in Switzerland was at it second highest – only 1999 had higher numbers. The number of four-wheel drive cars continues to increase in Switzerland. In 2014, 38.5% of new passenger vehicle registrations, or 116,186 cars (+4.8%) where all-wheel drive. Alternative energy car sales increased by 5.7% to 9,863 cars. The Swiss car market is traditionally highly competitive allowing for larger swings and changes in relative rank positions of car manufacturers than are common in larger European markets. However, even in Switzerland Volkswagen is traditionally the best-selling car marque and VW remain comfortably at the top despite weaker sales in 2014. BMW had a strong year in Switzerland allowing it to overtake Audi for second place in 2014 – the difference this year just over 100 cars. Skoda and Mercedes Benz had strong growth and maintained their relative positions in the rankings. New car sales of Opel in Switzerland were down but Ford performed even weaker allowing for a swap in relative positions in 2014. Renault sales were even weaker than Ford but did not result in a position change. Peugeot took ninth place from Toyota by selling only 3% fewer cars compared to Toyota’s contraction of nearly 11%. In contrast to many other European markets, sales of Korean brands Kia and Hyundai increased strongly rather than contract. Similarly Mini and Smart sales were only moderately weaker in Switzerland. The best performers were Jeep (+56%), Porsche (+26%) and Kia (+23%). The worst performers were Chevrolet (-51%) that is withdrawing from the European market, Mitsubishi (-20%) and Honda (-20%). The Volkswagen Golf was again Switzerland’s favorite car model in 2014.